Thousands of shoes will be part of an installation on the Capitol grounds Tuesday to represent the victims of gun violence since the 2012 Sandy Hook massacre. Here's how you can donate. WASHINGTON — Thousands of shoes will be part of an installation on the Capitol grounds Tuesday. The shoes represent “young people we’ve lost to gun violence since the Sandy Hook massacre back in 2012,” said Andy Nazdin, with the organization AVAAZ. “We’re trying to bring the sense of heartbreak that’s been felt in communities where these shootings have happened around the country straight to Congress’ front door and demand that the time for real gun legislation is now,” Nazdin said. The installation is being added as part of the run up to the March for our Lives on March 24. AVAAZ members will assemble the monument of shoes on Tuesday morning. The daylong event will begin at 8:30 a.m. on the southeast lawn of the Capitol and will last until 2 p.m.
“We launched this effort about a week ago, and have been running pretty full steam at finding those shoes and helping folks donate them,” Nazdin said. Local drop-off points included Barstons Child’s Play in Chevy Chase. Their final collection day is Sunday. “We’re probably collected close to 1,000 pairs of shoes,” store co-owner Simmie Kerman told WTOP. After Tuesday’s temporary memorial, the shoes will move on to yet another chapter. 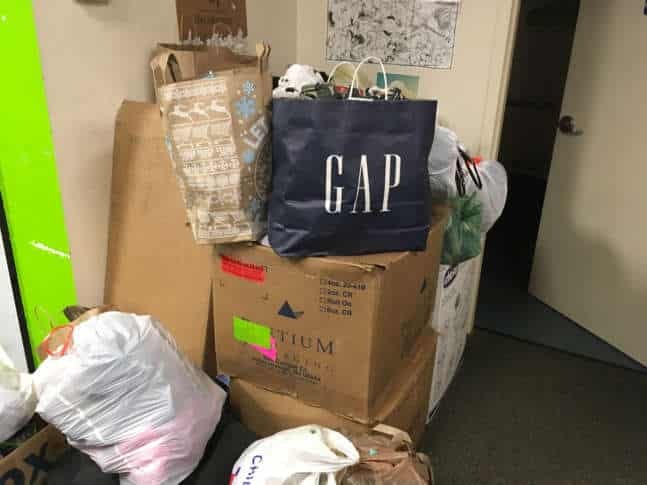 “We’ve been working hard to make sure that any shoe that’s donated to this effort is going to get into the hands of some of the neediest folks in the D.C. area,” Nazdin said. On Sunday, March 11, Donations are still being accepted at D.C. Brau in Northeast until 9 p.m.